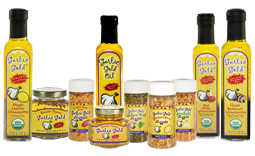 Our Garlic Gold® Nuggets are great for more than just topping your favorite pizzas, pastas, and salads! In fact, the varieties that contain herbs and spices are amazing cooking ingredients, since they let you save lots of time in the kitchen. Instead of chopping garlic and measuring spices, you can simply shake a liberal amount of our Southwest Nuggets into fajitas, chili, taco meat, and of course today’s recipe, a Cuban-style stew. Without further ado, here’s our easy, delicious take on Ropa Vieja, a famous dish in Cuban cuisine. 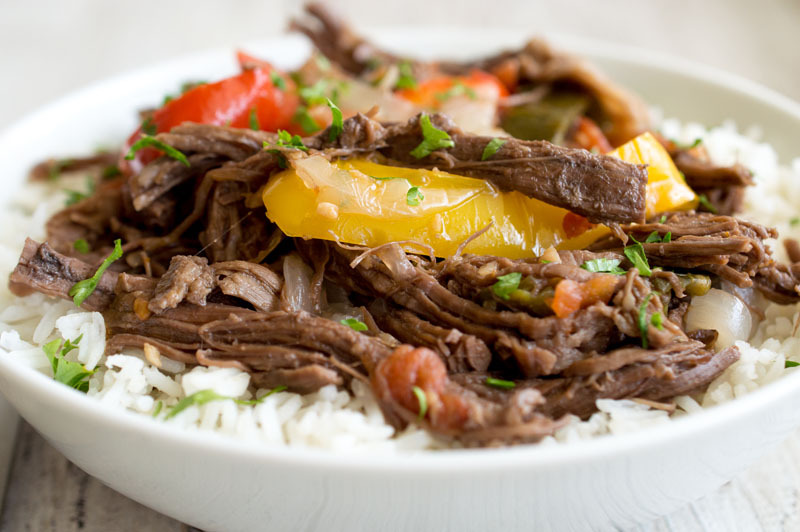 Flank steak is shredded into thin strips, then braised to tender perfection in a sauce of peppers, tomatoes, and wine. Best of all, our version is made in an electric pressure cooker, so it won’t heat up your kitchen! It tastes like it was simmered all day, but really, it comes together in about an hour. Serve it up with a big pot of steamed rice and you’ve got a complete dinner your family will love. Place the steak in the pot of an electric pressure cooker. Add just enough water to cover the meat, along with the bay leaves and sea salt. Close the pressure cooker, and set it to cook on high pressure for 20 minutes. When the steak has finished cooking and the pressure valve has released, transfer the steak to a platter to cool. Reserve a cup of the cooking liquid and discard the rest. Once the steak has cooled, use two forks or your hands to tear the meat into thin strips. Set the pressure cooker to its sauté setting, and heat the Garlic Gold® Oil over medium heat. Add the peppers and onion and sauté until the onion is soft and translucent, about 10 minutes. If your pressure cooker does not have this setting, cook the peppers and onion in a skillet, then add them to the pressure cooker pot. Add the shredded meat, tomatoes, wine, Garlic Gold® Southwest Nuggets, black pepper, and reserved cooking liquid. Set the pressure cooker to cook on its high setting for 15 more minutes. When the pressure valve releases, dinner is ready! Serve the stew piping hot over steamed rice, or with crusty bread alongside.